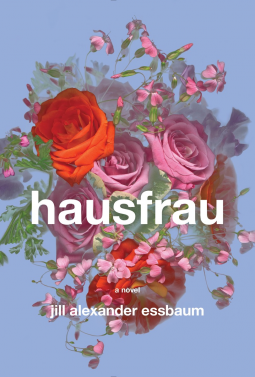 I’m a very picky reader, and I tend not to jump on the hype wagon, but I was very curious about this book, a debut novel written by a poet about a disaffected and depressed ex-pat housewife who’s lived in Switzerland for nine years. It was a very compelling read though it wasn’t surprising plot-wise.The opening section of the book makes it very clear that Anna Benz is a twenty-first-century stand-in for Anna Karenina or Madame Bovary. She’s an American living in a suburb of Zürich with her three young children, and her life revolves around her family, her German language classes, her therapy sessions, and her multiple extramarital affairs. Part of what propelled me was trying to figure out if there was any resolution/ explanation for what made Anna so completely passive, and I’m still a bit mystified by that question. Part of me kept on reading because the discussion of language and therapy sessions were interesting. The continual discussions of fire, on the other hand, seemed a little too on-the-nose for me. One complaint is one plot development that felt forced into the story to force a confrontation. That confrontation could have happened in any number of ways, and the one Essbaum chose seemed extreme. I find a hell of a lot more stories about male ennui and midlife crises than female ones, and for that I think this novel has its place. But I worry that the trend of “complicated female characters” is veering into the complicated-for-the-sake-of-being-complicated territory. Anna is extreme, but Essbaum keeps pointing out that Anna’s wounds are largely self-inflicted. I would have liked some more hints about what made Anna so depressed and self-destructive. I mean, I have my theories, but the novel is pretty quiet on the subject. This was a very good read. I picked up The Pledge where it’s been languishing on my bookshelves for at least a couple years because it’s short, because of a fairly recent rave review from Jose Ignacio, and because the subtitle, Requiem for the Detective Novel, was intriguing. It’s a smart book with an effective ending, but because its a novella, I don’t want to say too much about the story. The crime at the center of the story is the murder of a very young girl. Inspector Matthäi leads the obsessive investigation of her murder, and Dr. H, the retired policeman narrating the story, was his old boss. To add yet another level of the story-within-a-story, Dr. H. tells his story to the unnamed narrator who is a mystery novelist. I’m not sure that crime novels of Dürrenmatt’s days were always so tidy, but I admit I haven’t read enough older books to make an accurate assessment. I can definitely think of a few crime novels and crime shows that rely heavily on logic without dealing with luck, but it’s not something I see or read about a lot. But besides the critique of detective stories, this is a story of a horrible crime, and it affects the investigators quite profoundly as well. The tone is very dry, and the impact is quite strong. This is one of my favorite reads of the year, and it’s definitely a book that makes for interesting discussions. The Pledge is a book that’s received lots of positive reviews around the blogosphere. Here is an incomplete list: Avid Mystery Reader, Mrs. Peabody Investigates, My Place for Mystery, Mysteries and More from Saskatchewan.